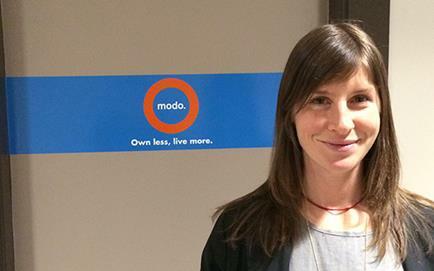 Meet Modo's newest Ambassador, Emma Gilchrist! Take our Annual Survey before June 13 and you could win $200! Meet our newest Modo Ambassador! 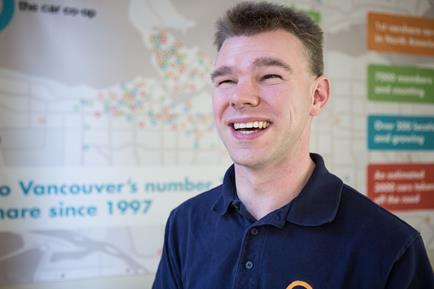 "When I moved to the West Coast from Calgary in 2010, I left car ownership behind. With the move to a milder climate and a more walkable city, I decided it was time to go car-free. My primary motivator was clearly saving money, but I also care about the environment and I knew that if I had a car, I'd be lazy and drive it more than I need to." Get to know more about Emma on our blog! 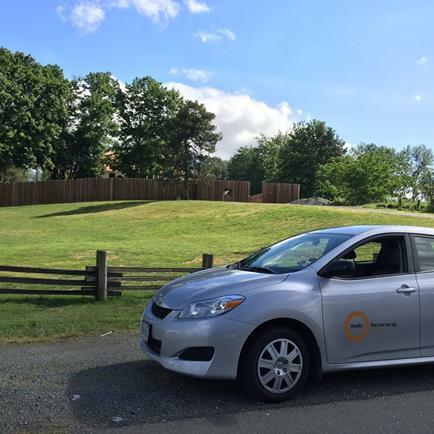 Are you interested in blogging with Modo and being an advocate for carsharing? Send us an email at marketing@modo.coop with a link to your blog and/or social media profiles. Photo: Emma on a Modo mission to get her first ever BBQ via Instagram. CARCHANGE at Capitol Residences: the blue Nissan Versa Note has been replaced by a 2016 blue Honda Fit (#794). A 2016 silver Kia Soul (#802) has replaced the 2012 Green Toyota Matrix. Modo's Board Directors in Victoria, Pam and Sarah, put their commute to the test during the Bike to Work Commuter Challenge. 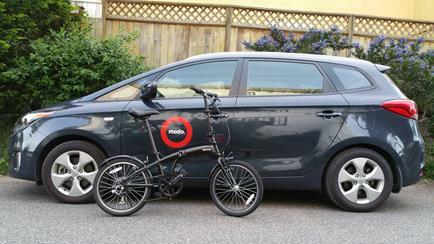 Who do you think won: bike or Modo's Kia Soul EV? Did you join the Challenge in Victoria? Tell us about it on Facebook, Twitter or Instagram! 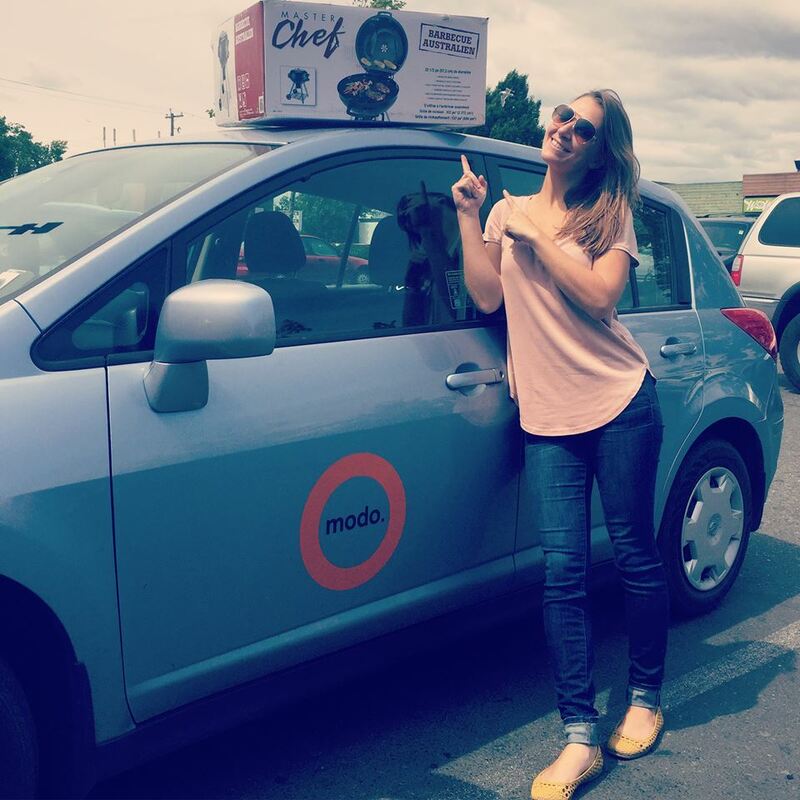 >> MODO FOR BIZ Artslandia Associate Publisher, Katrina Ketchum uses Modo to deliver magazines! Read our interview here. Join the next Mixer hosted by Tacofino Vancouver and our friends at LOCO. The event will include a panel discussion on "The Future of Independent Business in Vancouver". Get tickets here!